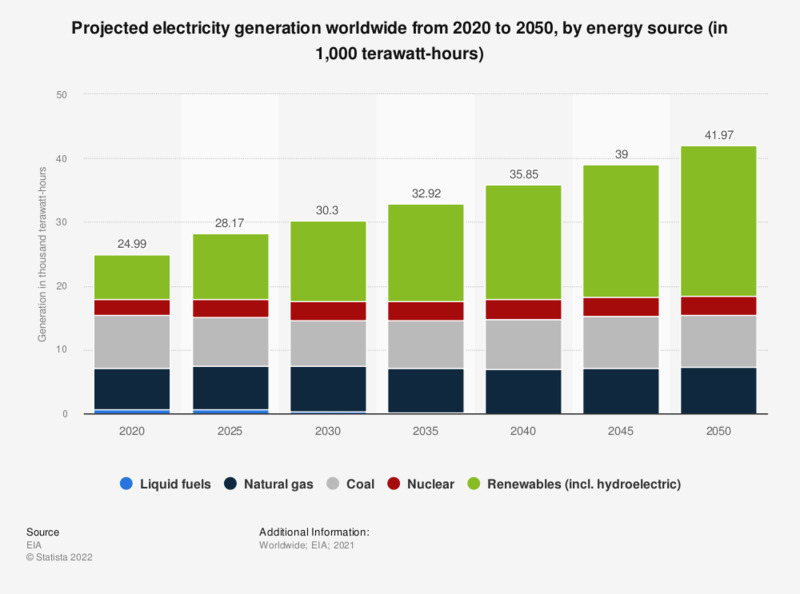 This statistic shows the world electricity generation in 2015, including projections through 2050, by energy source. About 12.4 trillion kilowatt hours of electricity is expected to be derived from renewable sources by 2050. * The figures for 2020 through 2040 are projections. According to the source, the projections were made based on a business-as-usual trend estimate, given known technology and technological and demographic trends. Figures were aggregated from several tables.